In just one year, Islamic economy has registered remarkable progress, its markets have expanded, products increased and its culture broadened. More specifically, global Islamic finance assets increased from $2 trillion in 2016 to $2.6 trillion in 2017, according to a study by PwC. All of this is good news indeed. But we do have much ground to cover. The immediate priority that we need to acknowledge is the fact that we still lack appropriate regulations to organise this sector globally. Regulating the Islamic finance sector and defining its frameworks and references will not only expand the market further, but also enhance its social and economic impact on many countries. A more regulated sector will also help achieve the desired sustainability – particularly because Islamic financing is not merely a provider of debt to societies like conventional finance is, Islamic financing is an integral contributor to development. To make it clear… I will share some findings of a new report issued in 2017 by the World Bank in cooperation with the Islamic Development Bank. This report offers a snapshot of how international financial institutions perceive Islamic finance. The report states that the Islamic finance market is not fully exploited even though opportunities in this market are promising. It further points out that Islamic finance contributes to a fair distribution of products and wealth and reduces social disparities because of its focus on microfinancing that is somewhat excluded from conventional finance. According to the report, Islamic finance has the highest potential to finance infrastructure and the services sector. So, what should we do to enable financial institutions and investors to discover opportunities in global markets? More importantly, how can we encourage them to create their own opportunities in a way that leverages the advantages offered by an Islamic economy? First: Directing funding towards the tremendous growth opportunities in the promising Islamic sectors: Halal food, halal tourism, halal treatments and cosmetics, conservative fashion, entertainment, digital services through apps or data, and so on. These sectors have not yet fully evolved and are still growing, making their financing a guaranteed opportunity for capital and wealth growth. The halal sector can direct funding into promising new products, jobs and markets. This sector is worth more than $2.3 trillion, according to a 2016-2017 report by the Organisation of Islamic Cooperation. For its part, the State of the Global Islamic Economy Report forecasts that the halal tourism sector is projected to reach nearly $238 billion in 2018. The report also offers optimistic projections for the other sectors that comprise the Islamic economy. Second: Besides directing Islamic finance to the above identified high-potential sectors in leading countries, there is a great opportunity today for Islamic finance to develop these sectors in new markets to meet global demand. This can be done through financing farms, factories, service networks and shops, and empowering cadres in the Islamic finance sector. The demand for Islamic economy and its products is growing and this is an opportunity to raise Islamic capital by expanding its markets and reaching new consumer segments. Third: According to the above-mentioned report by the World Bank and the Islamic Development Bank, there is a great opportunity in microfinance, i.e. SME financing, in both emerging and developed markets. In emerging markets, the objective of financing is to shape the sectors needed to develop the economy, while in developed countries, the objective of financing is to contribute to a fair distribution of wealth, reduction of inequality and increase purchasing power. Supporting SMEs is undoubtedly, the best means of community development as it enables weaker segments to contribute to the production process and make decisions on market trends. Fourth: Islamic finance should keep abreast of the changes in the global economy. It needs to have a finger on the pulse of market trends. As an example, Islamic finance could consider how the emerging markets of the East are safer than any other market, while the real sectors and investments in material resources are far more sustainable than other sectors in which wealth remains in closed loop and does not benefit countries or communities. Fifth: Financing electronic trading platforms specialised in Islamic economy products and services. Those are the five main factors that can drive the advancement of Islamic finance in its next phase of growth. However, we must address how the structure and frameworks of Islamic financial institutions are organised in order to ensure effective performance and maximise their ability to revive the global economy. We need to step up efforts to work on two key objectives. The first objective is the consensus on legislation and regulations to establish a strong financial framework that includes all Islamic financial institutions across the world. We call on economists, sociologists, shariah scholars, legal experts, as well as leaders of the public and private sectors to contribute to building that framework. The second objective is to establish greater coordination between all the Islamic institutions and banks around the world in order to maximise their competitiveness and enable them to serve as the nucleus of the global Islamic financial sector in clarifying the governance mechanisms for Islamic financial institutions, and in developing indicators to measure and guide performance. There are many issues facing the Islamic financial sector today, such as digital financial services and virtual currencies. With regard to digital financial services, it is necessary to note the importance of developing the financial sector as per stipulated standards and procedures in order to achieve growth, reach the public and facilitate transactions of all kinds. The first-of-its-kind accelerator in the region, FinTech Hive, inaugurated by the Dubai International Financial Centre and supported by the Dubai Islamic Economy Development Centre, is an outstanding example. There is an increased momentum today in the transformation of services from traditional to digital. The meticulous attention paid to designing these services by banks with the aim of enhancing awareness among their target customers, will significantly strengthen the uptake for Islamic finance in the world markets. Regarding virtual currencies, I believe that many countries have started taking regulatory action against them. Circulation of virtual currencies means building a virtual economy. This implies that money will probably come and go without being utilised at all, while Islamic economy underscores that wealth should be proportional to the effort invested. Imagine the fate of markets, factories, farms and service centres if everyone earns their living by chancing their fortunes with these currencies! What will humanity look like then? And who will produce or create the products and services that society needs to survive? 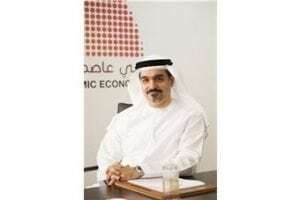 The writer is chief executive of Dubai Islamic Economy Development Centre. Views expressed are his own and do not reflect the newspaper’s policy.